Encyclopaedia Britannica is seeing a huge increase in its print edition sales after the company announced it would do away with hard copy and switch to only an online edition. The Chicago-based Encyclopaedia Britannica Inc said that since last month they have sold all but 800 of the 4,000 sets of its 32-volume 2010 paper edition stored in its warehouse, the AP news agency reports. Company’s spokesperson Peter Duckler, says Britannica is currently selling 1,050 sets per week against the usual 60 sets. He added that at some point the company’s sales reached about two sets per minute, and Britannica’s top managers had to jump in and start taking orders by phone. “When people thought they were going to be around forever there was no rush to buy one and then suddenly, boom, and now there is a scarcity and it is a collector’s item,” Duckler explained. The spokesman predicted that Britannica will most likely sell out by the end of the month. He noted that the company will hold several copies to itself for exhibition purposes. 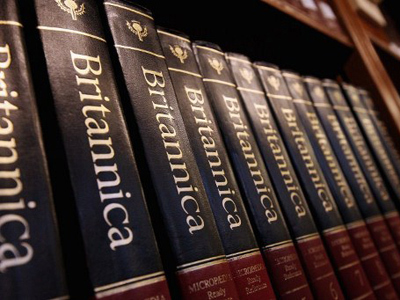 Britannica announced on March 13 that it is halting the encyclopaedia’s printed edition. The company said that the ongoing boost in sales will not affect its plans to stop the paper version. It intends to continue to focus on its online product first introduced in 1994. Britannica started publishing back in the age of European enlightenment, in 1768, in Scotland. The rights for the encyclopaedia subsequently went to its current American owners.